Smoky chipotle peppers add a kick to classic black bean soup. Blend half the beans with about 1 cup water or stock until pureed. Set aside. Heat vegetable oil over medium heat, and add onions, garlic, and pinch of salt. Cook without browning until onions are soft, about 5 minutes. Add the sherry and turn up the heat. Cook until sherry is reduced by half. Add the chopped chipotle, remaining stock, pureed beans, and diced sweet potato. Simmer until sweet potato is almost cooked through, but not quite about 8 minutes. Add remaining beans and Worcestershire sauce, and simmer for another 5 minutes or so. 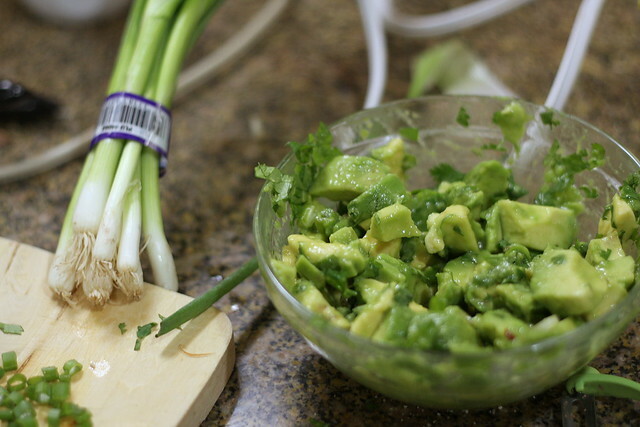 Meanwhile, make the salsa by combining avocado, lime juice, cilantro, and salt to taste. Serve soup topped with salsa.